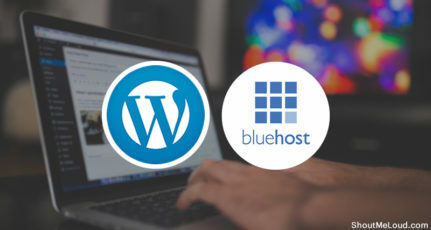 When it comes to web hosting for WordPress, Bluehost & HostGator are two of the most reputed names in the web-hosting industry. Both hosting companies are owned by the same group, EIG, and they have both maintained their quality over time. That’s why they are popular choices for users looking for quality web hosting at a reasonable price. A few years back, the company decided to launch an Indian version of these two popular hosting platforms. But instead of bringing the same infrastructure to India, they bought out popular a reseller club hosting and rebranded it as Bluehost India & HostGator India. While the Indian versions are not bad, there is a big problem. The problem is buying hosting from Bluehost India and thinking it’s the same as Bluehost.com (i.e. Bluehost U.S.), which it is not. Here at ShoutMeLoud, I have received many queries from users who purchased hosting after reading our tutorials & later complained that the interface they see on their purchase is not the same. The reason is because when users from India go to Bluehost.com, they are automatically redirected to Bluehost India based on their location. This is a common practice followed by many companies to give a better localized experience. However, the difference here is that Bluehost U.S. & Bluehost India, even being part of the same company, offer different products & interfaces. Since the brand & everything else looks same, many of us end up buying the hosting from Bluehost India. 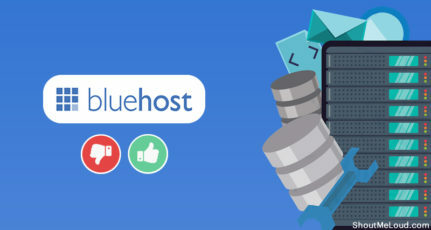 If you are one of those who wanted to purchase hosting from Bluehost U.S. and ended up buying from Bluehost India & now want to fix your mistake, you can do so by following this tutorial. Bluehost India offers a 30-day money back guarantee. 30 days from your order purchase, you can cancel your hosting plan & get a complete refund. Note: When you just need an Indian hosting account (and Indian server location), Bluehost India and HostGator India are both totally decent hosting choices. The cancellation is applicable for the hosting package only. Your domain will remain with Bluehost India, which is not a big problem as you can always change the name servers to point to any other hosting. You can transfer the domain after 60 days to any domain registrar you like. However, this is not necessary. The hosting package can be canceled only within the first 30 days of your purchase. If you have already created a site, you should take a complete backup before canceling. 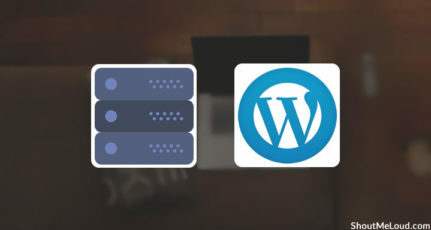 If it’s a WordPress site that you created on Bluehost India, you can follow this guide to take a backup & move your site to your new hosting. Since we are on the same page now, it’s time for you to follow this step by step guide & cancel your Bluehost hosting package and get a refund. First, log in to your Bluehost India hosting control panel by going to manage.bluehost.in. Click on Manage Order > List/Search Orders. Click on the domain name that you wish to cancel. Your deletion request will be added into the queue and will be processed pending validation. As directed in step 2, contact the support team by live chat to validate the request in the next 15 days. If you don’t do this within 15 days, your request will be invalid. The thing with their live chat support is it takes a lot of time to connect. In my case, I had to wait for 15 minutes & I was unable to connect. This is when I decided to call their support team. The first number I called was 0824-661-4333 which is for their tech support team & they asked me to call their sales team. This is when I reached out to their sales team on 022-712-21660 & asked them to cancel my hosting package. The lady on the other side asked me to do the step mentioned above & put the request through live chat. I told her that I had been waiting for more than 15 minutes on live chat & there was no luck. This is when she said she would arrange a call back within 10 minutes. While I was waiting for the call, which I never received, I initiated another live chat window & this time I got lucky as the live chat got connected within 10 minutes. Within 5 minutes, the support representative canceled my order. This takes about 10-15 minutes to execute & once your order is deleted, you can proceed in getting a refund. 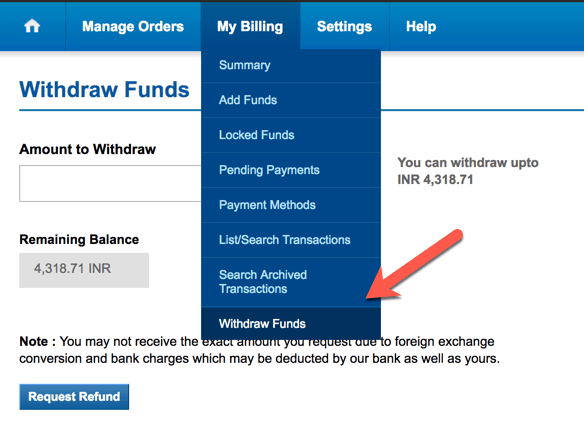 Once your order is canceled, the refunded amount will be credited back into your Bluehost India account. You can go to My Billing > Withdraw Funds to see the balance in your account & also put in a request to get a refund back to your bank account. In case you don’t need the money put back into your bank account, you can use it to renew or purchase new domains. Add the amount you wish to withdraw. 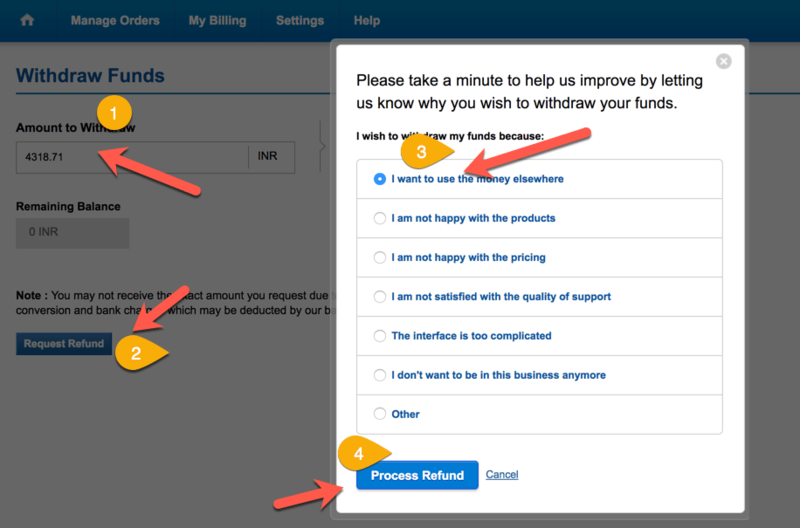 Click on Process Refund & your request will be submitted. The Bluehost billing team will process the request shortly. Your funds will be processed to the same account from which they were received. You will also receive an email for your hosting deletion & fund withdrawal. Here is the official help guide from Bluehost India in case you need more help. Now you are free to host your site on Bluehost U.S. or any other hosting company. I hope this guide helped you cancel your hosting package from Bluehost India & get the money back into your account. If you are stuck somewhere or have queries related to the above steps, let me know in the comments section below. I totally agree with you. Even I realized this difference and bought Hostgator US instead of India. I am facing no trouble so far and going to continue to use them until I face any problem. 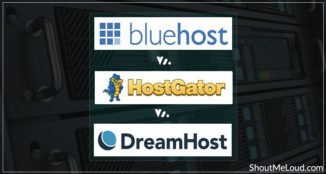 I wasn’t aware of the fact that both BlueHost and HostGator are owned by the same parent company. When I see this, I wonder why they have to create a competitor company of their own which is although funny but would have some reason as well. Anyway, would you suggest me to migrate to BlueHost or keep myself to HostGator only? Very informative article! Thanks for share, was literally wondering how to perform the cancellation and its workflow ! keep up the good bro! Nice Post thank you for share this article with us it’s very useful. I like this information to use in future. Thanks sir for such informative article. 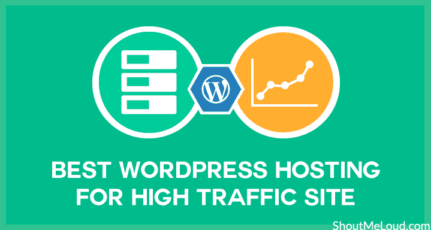 Its very useful for all who made any mistake in buying hosting. Thanks for sharing this article Harsh. Its really helpful for me. Bluehost US Services are far better then the Bluehost india services, that’s why everyone prefer to buy hosting from Bluehost US. since the customer support service are poor for Bluehost USA too, this is based on my self experiance. they took a lot of time to respond. Well thanks for the order cancellation tutorial. Is it possible to migrate from Bluehost India to Bluehost US without canceling the hosting plan? It has been more than 30 days, so deleting the hosting plan now would not be a wise decision. yes you can but then you would be paying for Bluehost USA again. If your hosting is working fine & you already got used to using it; stick to same. What’s the point of double spending on hosting? Thanks for This Informative blog but i have issue with hostgator and they denny for any kind of refund what i can do? Thanks for sharing this post… The domain cancellation process of Bluehost India is pretty much same with Hosgator India. Thank you very much. Am using Debit card when i pay to bluehost india for hosting and cancel my order and request refund. Is bluehost send payment to the debit card or i need to choose different payment method? 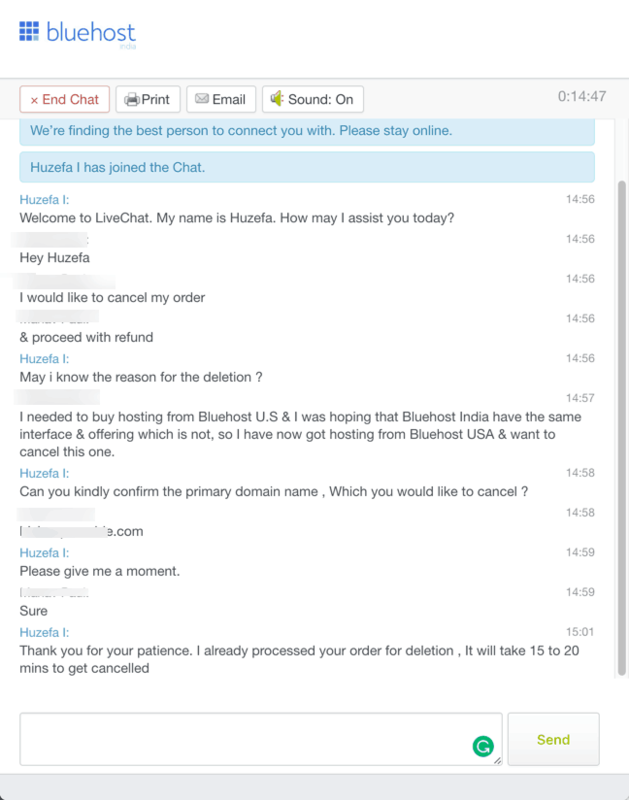 I just proceed cancelation a bluehost India plan and I just received a mail from that I can’t get refund. We understand your concern here but sadly our WordPress Hosting products are non-refundable and a refund for the deleted WordPress Hosting (USA) order will not be possible here. Seems like they have different policies for their WordPress hosting plan.